The used Chevrolet TrailBlazer is the perfect SUV for a growing family! Even though it is older than ten years, it still drives in a class of its own. You can get the 2005 Chevrolet TrailBlazer for $79. Don't worry about the 181,395 miles on this vehicle; it's just starting its life. Its a v6 Silverstone Metallic SUV that can tackle many different terrains. Interested in this SUV? Visit Dominion Chevrolet to schedule a time to test drive the 2005 Chevrolet TrailBlazer. The used 2008 Volkswagen New Beetle Convertible has aged like fine wine. It might be older than three years, but it's style and grace is still relevant today. 122,671 miles means nothing to the long life of this vehicle. Its a v5 Salsa Red car that gives drivers more control over the road. Interested in this car? Visit Dominion Automotive Group to schedule a time to test drive the 2008 Volkswagen New Beetle Convertible. 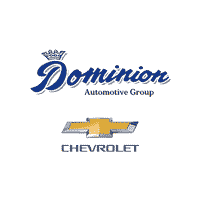 Why Buy Used From Dominion Chevrolet? Whether you buy a pre-owned Chevy or a different make or model, you can count on our knowledgeable sales team to find you the right model for the right price. From the used Chevy Cruze to the used Chevy Traverse and so much more, you’re sure to find an affordable SUV or sedan that fits your lifestyle and budget at our Michigan City-area dealership. And even when you leave the lot, you can rely on our dependable service center for used vehicle maintenance every step of the way. Ready to find a used car under 10k for your Niles commute? Contact Dominion Chevrolet today to set up a test drive! We look forward to helping you find the pre-owned vehicle that suits you.